Christianity and Literature, Vol. 54, No. 4 (Summer 2005), 563-75. The following remarks were given by John Cox at the Conference on Christianity and Literature Luncheon at the 2004 Modern Language Association Convention in Philadelphia. On that occasion, CCL awarded Robert Coles its Lifetime Achievement Award. An interview with Robert Coles follows these remarks. Let us now praise famous men. That admonition is the title of a well-known collection of photographs by Walker Evans with text by James Agee, published in 1941 and funded by the Works Progress Administration. The admonition is also appropriate on this occasion, however, for several reasons. For one thing, Robert Coles is indeed a famous man, and we are here to praise him. For another, among many distinctions that Robert Coles has earned is the James Agee Chair of Social Ethics at Harvard's Graduate School of Education. When that title was bestowed on him in 1995, he was already Professor of Psychiatry and Medical Humanities at Harvard Medical School. 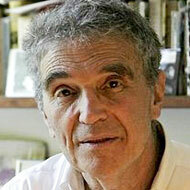 He has also won the Pulitzer Prize, awarded to him in 1973 for his five-volume Children of Crisis. In 1981, he was selected as a MacArthur Fellow. In 1998 President Clinton bestowed on him the Medal of Freedom, the highest honor a civilian can receive from the United States Government. In 2002 President George W. Bush awarded Robert Coles the National Humanities Medal. For all these things Robert Coles deserves our praise. In praising him, let us go back for a moment to his title at the Graduate School of Education: the James Agee Professor of Social Ethics. The title was not arbitrarily chosen. Almost twenty years after the publication of James Agee's book, Robert Coles was in New Orleans, where he was doing advanced training in psychiatry. In November 1960 he was driving past a noisy crowd when he noticed that it had gathered to jeer and intimidate a six-year-old girl. The child was Ruby Bridges, and the mob had come to express their hatred because she was the first black child to enter a previously all-white school. Impressed by her courage and aware of her inevitable emotional distress, Coles offered to talk to her about her experience, and he visited her at home for several weeks, using his psychiatric training both to assist her and to listen attentively to her story. This experience began a distinguished career in psychiatric fieldwork for Robert Coles and led to volumes of insightful reflection about the stories of children's real lives. It also eventually led to a joint publication in 1995 of a children's book he wrote with Ruby Bridges, The Story of Ruby Bridges. The Conference on Christianity and Literature is glad to offer a Lifetime Achievement Award to Robert Coles because of his remarkable gift to people like Ruby Bridges—a gift of insight and understanding in the spirit of James Agee, and a gift that has enriched us all because of Robert Coles's voluminous and insightful publications. Robert Coles is the author of more than fifty-five books and 1,200 articles and essays. One of the prophetic signs of God's kingdom is the bringing of good news to the poor, and Robert Coles has been a bearer of that sign. We are also pleased to offer this award because Robert Coles, as a medical man and a distinguished social scientist, has a passionate attachment to the arts and to literature in particular. One of the electronic resources available at the Harvard University Libraries is called "Twentieth-Century American Poetry," combining poetic text with images, introductions, and commentary. Among other published poets in this collection who have gained recognition through national poetry awards or inclusion in leading print anthologies are the following: Robert Bly, Robert Frost, James Dickey, e. e. cummings, Alice Fulton, Wallace Stevens, and Robert Coles. As an undergraduate at Harvard, Robert Coles wrote a paper for Perry Miller on a practicing physician and poet, William Carlos Williams, who became a model for Coles of what Harvard calls "medical humanities." In a seminar with the theologian Paul Tillich in 1956, Coles encountered Walker Percy's essay, "The Man on the Train," and he eventually made the acquaintance of its author, a non-practicing physician and novelist, with whom Coles maintained a lifelong friendship, and about whom he wrote a spiritual and intellectual biography. Robert Coles might be expected to write a book about the psychiatrist Erik H. Erikson, as in fact he has, but he has also published books about religious thinkers (Dietrich Bonhoeffer, Dorothy Day, Simone Weil) and about artists (James Agee, Flannery O'Connor, Bruce Springsteen). Perhaps the best words to sum up this amazing career are "voice" and "story." Those of us here today identify in one way or another with a community that is shaped by a story full of voices: the voice that spoke the world into being, the voice that called to Adam in the garden, the voice that comforted the outcast Hagar in the wilderness, the voice that called to the child Samuel in the darkness, the voice that announced the Savior's birth to Mary, the great voice that John heard in the Isle of Patmos. Robert Coles has helped us hear different stories and different voices, those we don't usually hear, particularly the voices of children, which God especially inclines to hear, for of such is the kingdom of heaven. These are voices whose story Coles tells with compassion, empathy, and fidelity. As a group brought together by our interest in literary art and the story of God's presence among us, we are pleased to offer this tribute to Robert Coles for a lifetime of remarkable achievement. In December 2004, the Conference on Christianity and Literature gave Dr. Robert Coles a Lifetime Achievement Award. Unfortunately, Dr. Coles was prevented by illness from attending MLA, where he was scheduled to give a public lecture entitled, "Crossover: A Life in Psychiatry and Literature" in one of CCLs two sessions. The CCL board therefore asked John Cox to interview Dr. Coles for Christianity and Literature, and the interview took place in the spring of 2005. John in turn asked his wife, Karen, to assist in the interview. Karen has modeled her award-winning career in support of distressed families—locally, nationally, and internationally—on the work of Robert Coles, whose books she has read, and whom she had previously met. John and Karen Cox formulated the questions in this interview together, and both of them talked to Robert Coles, asking the questions they had prepared and sent to him in advance and responding as he answered them. What do you think were the formative influences that inclined you to include literature as well as science when you were studying to be a doctor? I wrote an important essay—important to me, that is—in college on William Carlos Williams, a doctor who was a writer, and because of that essay, which I sent to Williams, I got to know him. He wrote me on a prescription that my essay was "not bad for a Harvard student!" That was typical Williams—lots of sardonic irony in his life and therefore, once I got to know him, in mine, but in any event I connected with him in mind and heart all during medical school, and eventually I met him. He was a huge influence on me as a college student and as a medical student. And it's no accident, I think, that I've taught him for years and even had the great privilege of putting together his stories as The Doctor Stories. There's a whole circle there going back to my freshman and sophomore years as a college student, and especially my senior year when I wrote on him at the behest of Perry Miller, a teacher and advisor with whom I worked very closely. I took Miller's courses and was a student of his, and he was the one who encouraged me to write about Williams. In fact, he told me that this choice would not be popular with a lot of the more conservative professors of English and American literature at Harvard at that time, for whom T. S. Eliot and others were favorites. So Miller was, in a sense, encouraging a certain kind of rebelliousness, if that's the right word, or at least a willingness to take on a subject matter not completely approved by the powers that be. So that was very much the influence of Miller and Williams. The other thing that I should mention is that my mother and father would read to one another as my brother and I were growing up. They'd read from Dickens, they'd read from George Eliot, they'd read from Trollope, and at my mother's urging, they'd read from Tolstoy and Dostoevksy. They were doing this for one another, but they also influenced my brother and me, and I don't think it's an accident that my brother was for many years a professor of English at the University of Michigan. So there was one son, and the other son ends up doing whatever I've done that was necessary in connecting a medical life with literature, with poetry, with novels and short stories and whatever. So your parents read aloud to each other? How remarkable! It's a sad story about our life that this is relatively rare. My wife, Jane, and I used to read to one another too. She also was strongly interested in literature, and we'd read to one another. We both loved, for instance, Tillie Olsen's short stories, which I taught for years, and Jane and I would read from those stories to one another and we'd sometimes read certain passages we'd picked up from a magazine or book that we thought the other would be interested in. What would you say inclined you to study psychiatry in particular? I originally specialized in pediatrics, and the story of how I ended up in psychiatry is a story of indirection. Following my first ambition to work with children, I interned at the Massachusetts General Hospital, and there I worked with other interns to deal with an epidemic of polio. We tried to treat the physical ailments of the kids who had this disease, but they were also quite troubled psychologically, of course, and confused and very frightened about what had happened to them. And I think working with those kids got me interested in the subjective side of polio, namely the fear, literally fear and trembling (if I may draw upon Kierkegaard) and considerable anxiety for the future. And I think that I began to see that working with children involved not only the medical side—the internal medicine and surgery connected to pediatrics at times—but also the psychological consequences of illness. This is where and why I veered to child psychiatry at the Children's Hospital in Boston. Can you think of ways your life changed as a result of a story or stories that people told you about their own lives? One story that affected me very much as a medical student and ever since, was Chekhov's story, "Anyuta," which by the way, I've taught for years. It's an extraordinary story about a medical student who also is involved with a young woman, and it's quite clear that he's not treating her with the respect and dignity that she deserves, as he concentrates on his medical studies. That's not a problem exclusive to the nineteenth century, is it! No, and I think what Chekhov was trying to point out is that one can be in training to be a healer and yet be callous and self-absorbed and indifferent to a fellow human being. It's a very powerful story that I got from my mother, who urged me to read it when I went off to medical school. In fact, whenever I would have trouble with one or another aspect of my medical education, or even before that, my college education, my mother could always be counted on to recommend reading Chekhov or Tolstoy or Dostoevsky, all of the great Russian writers whom she admired. You were lucky to have that kind of advisor. Oh, indeed. I can tell you another story that's somewhat connected to literature. When I was in medical school I thought for a while I would drop it; it was just too much for me. I was never a great scientist. I was much more interested in the humanities, but when I told my mother and father this once, I think my mother detected in me a kind of self-preoccupation and a little bit of self-pity that she had little tolerance for. She did not recommend that I should go and see a psychiatrist, which she would never do! But she said, "Why don't you go and work in Dorothy Day's soup kitchen and do something for other people? It'll take your mind off yourself and perhaps give you a little perspective on life." Well, this was hardly the kind of advice I was looking for at the time, but my mother had always admired what Dorothy Day did and read her Catholic Worker newspaper and was entranced not only by her work alongside poor and vulnerable people but also by the literary and the spiritual side of Dorothy Day's life. And the long and short of it is that I did get out to the Catholic Worker soup kitchen and volunteered and did some work there, and by golly, it did me a lot of good. I got a certain kind of strength from those people, many of whom were without much strength, because they were ailing and troubled in mind and body and heart. But there was something inspiring about trying to help people who were hungry and in need, and maybe I gained some strength from doing that. It's the kind of irony I think Chekhov and Tolstoy understood, and that I had read, but that now in a sense I was living out a bit. How would you link your work as a doctor to the writing you have done about peoples' lives? I think when I finally decided to become a psychiatrist and pediatrician, what I eventually figured out was that my connection to the humanities was very strong, and that I might work to bring it together with the medical life in some fashion by writing about what I had seen and heard. I had been interested in writing as a college student, and of course I worked then with Perry Miller, who required a lot of writing, and I knew William Carlos Williams and was inspired by someone who could connect medicine to writing. And with that kind of inspiration, though without his talent, I tried to do what I could to describe in words for others what I experienced as a physician. I have written about many children in many books, and I've also written poems—two volumes of poetry—and I've tried to use language in such a way that it connects in a narrative form, a story-telling form, with the experiences I've had as a physician who has gotten to know children in a variety of ways, whether it be struggling through school desegregation to get to school and going through mobs opposed to their integration, or migrant farm children, or children in Appalachia, or for that matter, in the Southwest, where I worked with Spanish-speaking children. The habit of reading and following narratives yourself must have then fed back and helped you to bring forward the narrative from many people's lives as you listened to them. I was often surprised, when I first read you, that unlettered people could express their own stories with quite a narrative line when speaking to you. Did you find that your background in listening to narratives fed back into your work as a psychiatrist? That's a very good way of looking at it. Let me emphasize that I'm not so sure that some of us doctors do as well in telling stories as the people we meet. Sometimes our language and ways of thinking become cluttered with jargon and abstractions, and some of us are in danger of losing that narrative inclination. You know, I think we are born storytellers. We're creatures of language, who can tell about ourselves and tell about others. That's a given, it's part of who we are, and sometimes it is lost, ironically, by those who get the highest kind of education, to the point that their language becomes filled with abstractions and jargon and they lose themselves amidst their advanced knowledge. I think at times, when I've heard from children, my surprise and awe measure an initial loss of understanding on my part of just who they are and what they are quite capable of doing. Let me give you an example that I've often told my students. In 1960, I was working with Ruby Bridges, a little girl who went to one of the elementary schools in New Orleans—the Frantz School. Here was a six-year-old girl who was being threatened with death every day by a hostile mob because she was an African-American child who was desegregating a school. And amidst all those threats and all the danger (she had to be escorted to school by federal marshals), there she was, and I was trying to find out how she was doing amidst all this. I'll never forget one day when I tried to apply my knowledge of psychiatry to her activity. I said to her, "Ruby, every day you go through that mob and they're screaming at you, and I was wondering what crosses your mind when they do that." Now there's a doctor at work, a child psychiatrist at work, trying to find out what is happening to a little child who's facing grave danger. And you can imagine what I was thinking—the various psychological maneuvers and so-called "mechanisms of defense" that would be happening in Ruby's mind as she faced this terrible danger. After I asked my question, she looked at me—I'll never forget her—she just looked at me, and she said, "Well, you know, Dr. Coles, I pray for them." So I looked hard at her, and I said, "You pray for them, Ruby?" She said, "Oh yes, I pray for them every morning when I walk by that crowd." And I said, "Ruby, you pray for them, given all that goes on and all they're saying and threatening?" She looked at me, and she said, "Well, don't you think they need praying for?" As she said this, I'll never forget what crossed my mind. It was my mother and father, and if I may say so, Chekhov, and Tolstoy, and Dorothy Day, and I thought to myself, "Maybe I'm the one she should be praying for!" This child, in a quiet, unpretentious, modest, matter of fact way, was responding to the lived moral and spiritual tradition that was part of her life that Dr. King and others would tell us about later. There she was praying for people in a way I think Jesus of Nazareth would understand, and even before, the Hebrew prophets, Isaiah and Jeremiah, but I didn't understand it. When I heard her answer, I was still struggling with her "denial," with her various psychological maneuvers, until all of a sudden a certain kind of innocence confronted me, which was a Biblical innocence. I'm not talking about innocence in a psychological or educational way but the innocence of a child teaching me something, and I think I could learn it because it connected with an essay my mother and father said I ought to read, and that I did read and read again. It was an essay of Tolstoy's called, "Are the Peasant Children to Learn to Write From Us, or Are We to Learn From the Peasant Children?" This is the way my parents and those who taught them, the writers they read, by themselves and to one another, came to bear on my working life, my thinking life. That's wonderful, and it begins to address the next question I was going to ask. You've spoken about your own moral and spiritual development—how you were prepared for it by your parents and your reading—and I wonder if you'd say more about how this formation inclined you to address questions of moral development in children. Well, I think my parents addressed it in their own way, through literature and through art. By the way, my mother used to take me and my brother to the Boston Museum of Fine Arts. There was a Gaugin triptych and at the bottom of the triptych are these questions—"Where do we come from?" "Who are we?" and "Where are we going?" Gaugin addressed these questions in that triptych, and my mother would show us how an artist could address these very important questions on a canvas. They are Biblical in nature and certainly intensely personal, and encouraging us to look at that triptych was her way, I think, of letting us know that these were terribly important questions which can be addressed through art and literature and of course can be addressed by ourselves if we have the will to do so. How do you see your sense of a connection between your faith and your work changing over the course of your life? I think I fall back more and more on Chekhov, Tolstoy, and Dostoevsky, and I think in the course of my life, going from the early years in school and the early years in hospital training, I've been seeking for certain way of connecting my thinking life with my praying, or reflecting, spiritual life. It's no accident that I became so involved with Walker Percy and his writings, because he was a physician who was also a novelist and a person of great moral and spiritual depth that the rest of us could only admire with unstinting praise and gratitude, and it was a privilege to know him and to write about him in the New Yorker and to think about him all the time and visit him and have discussions like the one you and I are having now. I think that people like Percy and before him Williams—of course Williams was a different kind of person—also a doctor but much less philosophically inclined than Percy, much more a palpably gritty physician . . .
Williams was a practicing physician, wasn't he, and Percy was not? You described yourself to me once as "an old Niebuhrian." Did you study with Reinhold Niebuhr? What other theological influences have been important it your life? There's another story that goes back to my medical school. When I was in medical school—and barely getting by when it came to the hard sciences— I've already mentioned how I volunteered at the Catholic Worker soup kitchen, and the other thing I did was to audit courses Reinhold Niebuhr gave at Union Theological Seminary. This was again at the behest of my parents. My mother said, "Why don't you go someplace else in the city where people are also teaching, and they might teach you something of value." I also got this advice from Perry Miller, who was very much interested in the connection between theology and literature, of course. He said to me when I was in medical school: "Go on down to Union Theological Seminary. You'll find some damn interesting people there to listen to if you get bored with what they're telling you in anatomy and biology and biochemistry and physiology classes." So I went down to Union, and that's how I met Niebuhr and sat in on his course, "Moral Man and Immoral Society," offered by a very powerful person and lecturer and thinking individual. Then there was Paul Tillich. I would come to him later, when I was a resident at the Children's Hospital in Boston. He visited Harvard, where he was giving a seminar, and I went to the first meeting. I told him I was a young doctor and asked for permission to audit the course, and he asked me about what I was interested in, and responded encouragingly: "I think it will be helpful for you to study here." He said he understood the need for me to be in the hospital and to attend to that side of things, but he offered a position for me in his seminar nonetheless, and I've never forgotten it. So there was Niebuhr when I was in medical school and Tillich when I was at the end of a residency, both helping me to stop and think about the life and death matters that were coming my way as a doctor. You mentioned earlier that your parents used to read to each other, and that you and your wife also read to each other. Am I right you and your wife also collaborated in writing? We certainly did. We published two volumes of Women of Crisis, which really is the result of our joint work talking with women—migrant farm workers, wives of share croppers, women who worked in the field, or in Appalachia. But beyond that, Jane and I always worked together in all the work I did, with children and with the mothers and grandmothers of those children. Indeed, there were some marvelous exchanges that took place between Jane and the mothers of some of those children who initiated school desegregation, because there were times when Jane was a bit wry and bemused by some of my earnest flip-flop failings as I stumbled my way into this different kind of life. After all, I was leaving clinics and hospitals and going to visit homes without credentials except my interest in meeting these folks, and at times I think some of the parents of these children thought I was a little bit troubled if not confused! They didn't quite understand what I was doing, and to tell the truth, I'm not sure I understood it, other than the fact that I wanted to meet them and know them. Remember, I wasn't working in a hospital or under any institutional auspices. I was basically a loner, wandering around and finding my own way, but I know that with Jane there the people I met felt a certain assurance, because this guy had a solid sensible wife who seemed to know better how to get along with then than I did! My wife was a high school teacher of English and history, and there's a story there too, because the work I did in the South in a haunting way paralleled the story of my wife's family. Jane, whose maiden name was Hallowell—her great-grandfather was a Union officer who led the first African American regiment in the Civil War. I've seen the commemorative statue for that regiment on Boston Common. Yes. He commanded those troops along with Robert Gould Shaw, I think it was. His story was well known to Jane, as a leading abolitionist, a Union officer, and this very much mattered to her, as part of her background, and she encouraged me. When we first got married, and we started this work she's the one who gave me the encouragement, even the strength and will to do the work. After all, we were a young married couple—she was a teacher at Shady Hill School in Boston, and I had just finished my residency—and look what happened: the two of us walked away from very promising positions into unexplored territory. It may seem obviously valuable now but at the time this was confusion and controversial and who could tell? We certainly didn't know what we were doing, and we were doing it on our own—tracking down these families, talking to them. By observing what was going on, I stumbled onto the first mob scene when I was in the Air Force under the doctors' draft. Jane very much wanted us to do this, and her relationship with Ruby's mother, with the parents and grandparents of these children we knew across America, was crucial to this work. I never could have done it in the first place without her, and I couldn't have done it satisfactorily if it hadn't been for her. There's another story I should tell you. Jane and I were once sitting with Ruby in her home in New Orleans, and I was in a rush, because we were also working in Atlanta with high schoolers who had initiated school desegregation there, and Jane could tell that I was trying to end this interview so we could go to the airport and get on with the day. She intruded at one point and said, right in front of Ruby and her mother and father, "Bob, I think Ruby has something else she wants to tell you, and we can always take another plane. We can just pass up the flight that you're obviously trying to make." At that point I was annoyed with her, but we stayed, and Ruby told me another long story. At last, we left and drove off, and I was in a big hurry, so Jane turned to me and said, "The way you're driving this car, we're not going to be getting on that plane. Even if we get to the airport alive, we'll probably get arrested!" I retorted, "I'm just trying to make an airplane flight." Well, we got to the airport, and there was a huge crowd outside Moisant International Airport, because something had happened. A plane had crashed after takeoff, plunged into Lake Pontchartrain, and it turned out to be the flight that we were trying to make—an Eastern Airlines flight from New Orleans to Atlanta. So we looked at one another, realizing that, in a way, Ruby's story-telling had saved our lives, along with Jane's wonderfully attentive, teacherly, interest in that story-telling. We looked at each other, and we called Ruby up, and would you believe this, they had heard about the plane crash on the radio. And they were so grateful we had missed that flight. But you see how life is a story. As a skillful and experienced interviewer yourself, even though you didn't start out that way, is there a question you wish someone would ask you? I think I'd want to be asked how I would account for all this activity over all these decades. Would I account for it through psychiatric analysis, through maybe some moral and spiritual reflection? And in response, at the risk of being a little murky here, I want to emphasize fate, chance, and circumstance. This of course is what George Eliot mentions again and again in Middlemarch, the novel I've taught for years and that my parents used to read to one another while my brother and I were growing up. Look, I was drafted into the Air Force under the doctors' draft and assigned to Mississippi rather than where I wanted to go—to the Air Force in Europe or California, or some other wonderful spot—and yet, there I was at what seemed like the end of the world. Now the end of the world can be the beginning of the world. By chance I was able to witness what was happening in my nation, my country, and people around me and I've often wondered, "If I hadn't gone down to Mississippi, what would my life have been like?" I wouldn't have been involved in the Civil Rights movement, and I would probably have had a tour in an office or a hospital or clinic. I used to pose this to Jane, and she'd look at me, and say, "Look, Bob, this is the mystery of life, and you and I and everyone is a part of that mystery and the only thing you can say is, be glad it came your way." But didn't it have to do with your response to those circumstances as well which was a life-changing response? At the risk of being immodest, I will say that Erik H. Erikson one time said to me, when I first got to know him, "Bob, I hear what you're saying about what happened in Mississippi and Louisiana, and how you got involved in this, but it does take two to tango and you were ready to respond to that." I looked at him, and I said, "Well, you know Perry Miller told me how important it was to be rebellious!" Of course people like me are always looked upon as, well, having a "problem"—we're "rebellious." And there is Perry Miller saying, "Hey, fine! Be rebellious!" Hardly advice for a shrink, especially one working as I did, with so-called juvenile delinquents! But you know, we're on a journey, and what I love about someone like Tolstoy is the way he helps us, as in "Master and Man," that beautiful story, of a man of privilege and his servant on this journey in the midst of a storm and how they are fellow pilgrims as well as fellow sufferers, both in danger. If we turn to Tolstoy, or Chekhov, or Tillie Olsen, and George Eliot, and others, we're helped to think about life and its meaning, and it gives us the kind of perspective we so much crave. I remember assigning The Death of lvan Illyich to my students, and they'd come up to me and say, especially if they were studying psychology, "Well do you think Illyich at the end regretted his life or was sad about it?" and I'd say, "Look, Tolstoy is telling us that with death comes the reflection of the dying person and of others around that person, and death gives us the opportunity to realize we're a creature who knows of death and knows our 'finitude'—to use the word that Tillich used again and again—and can therefore turn death to the advantage of reflection." But they were giant writers, and they're with us, and they're a great treasure that I wish all of us could call upon more readily. As I look around and see the influence on our culture of all these how-to-do books and how-to-be books, this endless parade of psychology and a mechanistic view of life and of ways of handling it, I turn again with gratitude to Dr. Williams, and Tolstoy, and Chekhov, to the Dostoevesky of The Grand Inquisitor and to Raskolnikov in Crime and Punishment and what he went through, and remind myself of what Dostoevsky asks us to go through as w face our crimes, and maybe deserved punishments as nations and as group and as individuals.